This section aims at introducing a solution to read PDF via a .net PDF component in C#, VB.NET. In this solution, you can realize your PDF read task in only three steps. 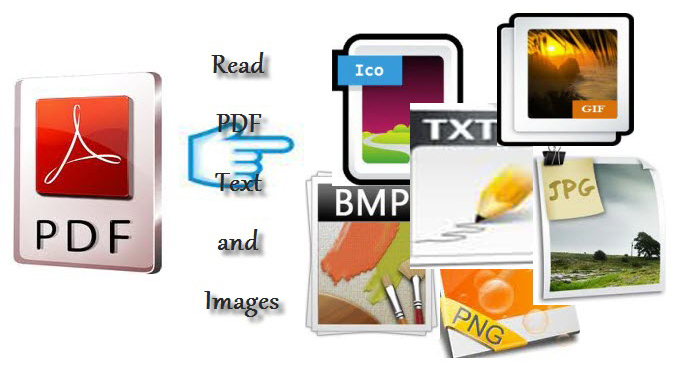 Besides, you can save the extracted image to be many commonly used formats such as jpg, jpeg, png, bmp, tiff, gif etc. Some special texts such as texts which are written from right to left for example Herbrew, Arabic etc all can be read from PDF. Dim fileName As String = "TextInPdf.txt"
Spire.PDF is a .NET PDF component, which enables users to perform a wide range of PDF document processing tasks directly, such as generate, read, write and modify PDF document in WPF, .NET and Silverlight.